Other Products by Rule 1. Search other Creatine products. Rule 1 R1 Creatine is 100% pure, pharmaceutical grade creatine which has been micronised for a more rapid absorption. Creatine works to recycle ATP (Adenosine Triphospate) which is our energy source. This recycling of ATP enables ATP to be produced at a faster pace for more rapid bursts of energy. Creatine will improve muscular endurance and is particularly useful for repetitive exercise such as weight training or sprinting. Creatine acts like a sponge and draws fluiid into the muscle. This cell volumisation acts as an anabolic signaller to support muscle growth, meaning supplementing with R1 Creatine will prime the muscle for growth by creatine an anabbolic environment. The fluid retention in the muscle tissue may also induce a natural muscle pump. Rule 1 R1 Creatine contains 5g (5000mg) of micronised creatine monohydrate per serve. 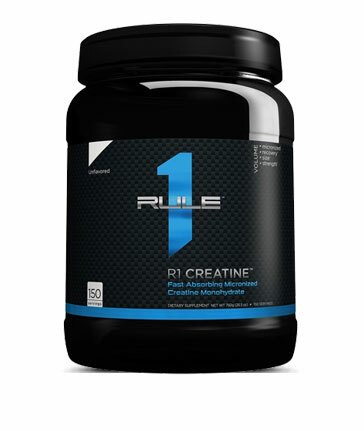 The 750g size of R1 Creatine equates to only $0.23 per serve at 150 servings per container. Creatine is probably one of the most researched supplements in the industry and is so ridiculously cost effective for its proven benefits during training. 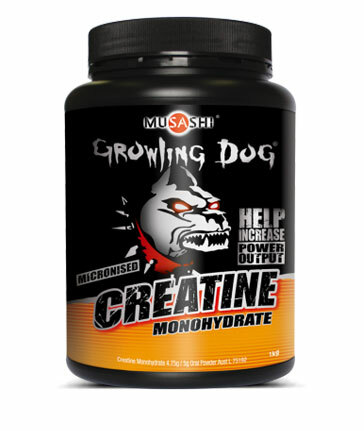 Most creatine monohydrates are best taken with a loading phase followed by a maintenance phase. You could load R1 Creatine by taking 1 teaspoon, 4 times a day for the first 5 days. After this initial loading just 1 teasppoon per day on training days and 1 teaspoon per day on non-training days to top up your body's creatine levels. 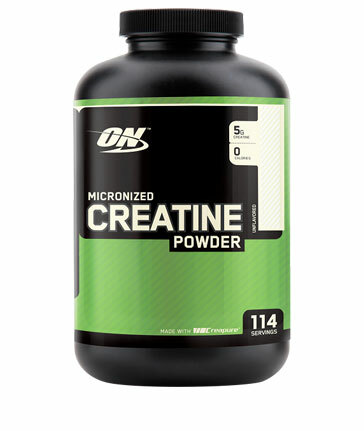 Mix 1 teasopoon of R1 Creatine with 250nl water and consume before or after your workout. Allergen information: Manufactured on equipment that processes products containing soybeans (lecithin), milk, peanut flavour, wheat, fish oil and egg.